For the fighting game series, see Soulcalibur. Souls (ソウル, Sōru) is a series of action role-playing games developed by FromSoftware. The series began with the release of Demon's Souls for the PlayStation 3 in 2009, and was followed by Dark Souls and its sequels, Dark Souls II and Dark Souls III, in the 2010s. The series' creator, Hidetaka Miyazaki, served as director for each of them with the exception of Dark Souls II. The Souls games are played in a third-person perspective, and focus on exploring interconnected environments while fighting enemies with weapons, magic, or both. Players battle bosses to progress through the story, while interacting with strange non-playable characters. The series has been both praised and criticized for its high level of game difficulty, and is considered a spiritual successor to King's Field. Other FromSoftware games, such as Bloodborne and Sekiro: Shadows Die Twice, share many related concepts with the series. The games take place within a dark medieval fantasy setting, where the player fights against knights, dragons, and various monsters. A recurring theme is that of a once powerful and prosperous kingdom which has fallen into ruin. In Demon's Souls, the player attempts to halt the spread of a demon-infested fog that threatens to consume the world. 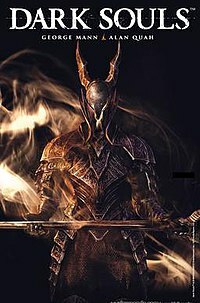 In contrast, the Dark Souls trilogy revolves around the player's attempts, through various means, to either reverse or perpetuate the spread of an undead curse known as the "Darksign" that prevents true death but prompts a gradual descent into madness and decay called "Hollowing" - based on their choices. They do this by linking the "first flame", like many others have done before, which eventually becomes a plot point in itself. The protagonist of each Souls game can have a varying gender, appearance, name, and starting class via character creation. Players can choose between classes, including knights, barbarians, thieves, and mages. Each class has its own starting equipment and abilities that can be tailored to the player's experience and choices as they progress. The player gains souls from gameplay battles which act as both experience points to level up and as currency to buy items. Souls gained are usually proportional to the difficulty of fighting certain enemies; the more difficult an enemy, the more souls the player will gain. One of the core mechanics of the series is that it uses death to teach players how to react in hostile environments, encouraging repetition, learning from past mistakes, and prior experience as a means of overcoming its difficulty. Upon losing all of their health points and dying, players lose their Souls and are teleported back to a bonfire where they last rested, which serves as a checkpoint. One chance is given for the player to recover their lost Souls in the form of a bloodstain, which is placed at or around where they last died. If the player dies again before reaching their bloodstain, the Souls are permanently gone. As most enemies are respawned following player death, or if the player should rest at a bonfire, the player has the opportunity to regain more Souls by repeated combat encounters. The bonfire is a type of campfire in the action role-playing game Dark Souls and its sequels that functions as a checkpoint for the player character's progress, as well as reviving most enemies that the player previously killed. Later in the game, and in Dark Souls II and III, they function as warp points. Another core aspect of the Souls games is its dependency on endurance in battle. Performing attacks, blocking, or dodging consume stamina, which otherwise quickly restores if the player stands still or just walks around. Certain moves cannot be executed if the player lacks a certain amount of stamina, making them vulnerable to attack. Players must balance their rate of attacks against defensive moves and brief periods of rest to survive more difficult encounters. Online interaction in the Souls games is integrated into the single-player experience. Throughout levels, players can briefly see the actions of other players as ghosts in the same area that may show hidden passages or switches. When a player dies, a bloodstain can be left in other players' game world that when activated can show a ghost playing out their final moments, indicating how that person died and potentially helping the player avoid the same fate in advance. Players can leave messages on the ground that can either help players by providing hints and warnings or harm players by leaving false hints. Players can also engage in both player versus player combat and cooperative gameplay using invasion or summoning mechanics. Released in 2009 for PlayStation 3, Demon's Souls is the first game in the Souls series. It has also been described as a spiritual successor to the King's Field series of games, while at the same time being described as a separate entity "guided by differing core game design concepts." It also drew inspiration from video games such as Ico, The Legend of Zelda, as well as manga such as Berserk, Saint Seiya and JoJo's Bizarre Adventure. Demon's Souls takes place in the fictional kingdom of Boletaria, which is being ravaged by a cursed fog that brings forth demons who feast on the souls of mortals. Unlike its successors, Demon's Souls uses a central hub system known as the "Nexus" where players can level up, repair equipment, or buy certain items, before venturing into one of the five connected worlds. The "World Tendency" feature is also exclusive to Demon's Souls, where the difficulty of exploring a world is dependent on how many bosses have been killed, and how the player dies. The gameplay involves a character-creation system and emphasizes gathering loot through combat with enemies in a non-linear series of varied locations. It had an online multiplayer system integrated into single-player, in which players could leave messages and warnings for other players' worlds, as well as join other players to assist and/or kill them. The multiplayer servers were shut down due to inactivity in early 2018. Dark Souls is the second game in the Souls series, and considered a spiritual successor to Demon's Souls. From Software wanted to craft games similar to Demon's Souls but the exclusivity of the IP to Sony prevented them from using the same name on other platforms. Instead, From Software crafted a new intellectual property to be published on multiple consoles. It was released in 2011 for PlayStation 3 and Xbox 360. In 2012, Dark Souls: Prepare to Die Edition was released for Microsoft Windows, PlayStation 3, and Xbox 360, featuring the base game and the Artorias of the Abyss downloadable content. The game takes place in the fictional kingdom of Lordran. Players assume the role of a cursed human character who has been chosen to discover the fate of the Undead. The plot of Dark Souls is primarily told through descriptions of in-game items and dialogue with non-playable characters (NPCs). Players must piece together clues in order to understand the story, rather than told through more traditional means, such as through cutscenes. Dark Souls and its predecessor Demon's Souls garnered recognition due to the series' high level of difficulty. A remaster of the game, Dark Souls: Remastered, was released in May 2018. Dark Souls II is the third installment in the Souls series. Unlike the previous two games, director Hidetaka Miyazaki did not reprise his role. It was released in 2014 for Microsoft Windows, PlayStation 3, and Xbox 360. In 2015, an updated version featuring The Lost Crowns downloadable content was released for Microsoft Windows, PlayStation 3, Xbox 360, PlayStation 4, and Xbox One, under the title Dark Souls II: Scholar of the First Sin - with the latter two platforms receiving retail releases. The game takes place in the fictional kingdom of Drangleic, where the player must find a cure for the undead curse. Although set in the same universe as the previous game, there is no direct story connection to Dark Souls. Dark Souls III was officially announced at Electronic Entertainment Expo 2015, and was released in Japan on March 24, 2016, and worldwide on April 12, 2016, for Microsoft Windows, PlayStation 4, and Xbox One. The gameplay is faster paced than previous Souls installments, which was attributed in part to the gameplay of Bloodborne. In an interview promoting Dark Souls III, Miyazaki was asked how he felt about the current number of Souls games. He responded by saying, "I don't think it'd be the right choice to continue indefinitely creating Souls and Bloodborne games. I'm considering Dark Souls 3 to be the big closure on the series. That's not just limited to me, but From Software and myself together want to aggressively make new things in the future... I believe that From Software has to create new things. There will be new types of games coming from us, and Dark Souls 3 is an important marker in the evolution of From Software." In April 2016, it was reported that Miyazaki and FromSoftware had begun working on a new intellectual property (Sekiro), and had no current plans to continue the Souls series with sequels or spin-offs. Miyazaki also acknowledged the demand for a Demon's Souls remaster or remake, but stated he was personally not interested in working on such a project. However, he stated he was open to the possibility for an external company to do so provided that they "really loved" the original and "put their heart and soul" into it. On February 28, 2016, Bandai Namco Entertainment partnered with American retailer GameStop to release Slashy Souls, a free-to-play mobile endless runner based on the series created to promote Dark Souls III. The game is presented in a pixel art style, and shares the series' level of difficulty. The game was met with highly negative critical reception, with reviewers such as Chris Carter of Destructoid and Jim Sterling both giving the game a 1/10. The King's Field series series, also developed by FromSoftware, is considered a spiritual predecessor to the Souls series. It debuted in 1994 for the PlayStation with King's Field and had three sequels in addition to other spinoffs. Other FromSoftware games directed by Miyazaki in the 2010s, such as Bloodborne and Sekiro: Shadows Die Twice, share many of the same concepts of Souls and are often associated with the series despite being their own intellectual properties, with fans and journalists often grouping the games under the "Soulsborne" branding. On January 19, 2016, Titan Comics announced that a comic book based on the series would be released later that year. The first issue debuted on April 6, 2016, to coincide with the international release of Dark Souls III on April 12. That same month, a Kickstarter campaign for an officially licensed board game based on the series was announced, titled Dark Souls – The Board Game. The campaign was funded within the first three minutes of its launch, and was published by Steamforged Games and released in April 2017. In February 2017, music from the series composed by Motoi Sakuraba, was performed by a live orchestra at the Salle Pleyel concert hall in Paris. In September of that year, a limited edition vinyl box set containing the soundtracks of all three games was released in Europe. In Japan, a box set containing the enhanced versions of all three games for the PlayStation 4, the soundtracks for each, bookends, artwork prints, and dictionaries detailing every in-game item from the series were released on May 24, 2018. The Souls series has been met with critical acclaim. The series inspired a social media app for iOS and Android called Soapstone, which uses a similar online messaging system used in the series adapted for the real world, using GPS to determine a user's location and bringing up a list of cryptic messages posted by other users in the area. Demon's Souls won several awards, including "Best New IP" from GameTrailers, and overall Game of the Year from GameSpot. Dark Souls originally did not have a port for Microsoft Windows, but upon seeing a fan petition for it, Bandai Namco community manager Tony Shoupinou lauded their support, and a Windows port was released in 2012. Dark Souls is also considered by some critics to be one of the greatest games of all time, and has influenced the development of many future video games. Dark Souls II also received critical acclaim, and is the highest rated game in the series on Metacritic. Before release, Dark Souls III was one of the most anticipated games of 2016, and also received critical acclaim upon release. The "bloodstain" gameplay mechanic has been given praise by critics. David Craddock of Shacknews called bloodstains "the hook that reels Demon's and Dark Souls players back in time and time again", and said that the resurrection of all enemies upon death make the journey back to one's bloodstain "quite the nail-biter". He stated that the harshest punishment one can receive in a Souls game is "not dying once, but twice." Stephen Totilo of Kotaku called bloodstains the "best game death innovation of E3" after playing the Demon's Souls demo in 2009, questioning 'what took so long for a breakthrough like this?'" GamesRadar+ called bloodstains, in combination with Demon Souls's message system, "a graceful, elegant way of letting players guide each other without the need for words", and said that "rarely has the price of failure been balanced on such a precarious knife edge" as being forced to retrieve one's bloodstain. The bonfire concept was similarly praised. Matthew Elliott of GamesRadar+ called Bonfires a powerful symbol of relief, and "a meaty cocktail of progress, exhaustion and joy", and that, while other games evoke emotions with their save points, no other game does so as effectively. Vice Magazine called the Bonfire a "mark of genius" that "reinvented the save point" and allowed the player to reflect on their progress. As of March 2015[update], Demon's Souls had sold over 1.7 million copies, while as of May 2016[update], the Dark Souls trilogy had sold over 13 million copies. Dark Souls III broke sales records upon release, with the title being the fastest-selling game in Bandai Namco's history, selling over three million copies worldwide a month after its international release. The Souls series has led the video game industry to use the term "Souls-like" to describe action role-playing games from other developers that follow general principles of the Souls series, though there is no well-established definition for such games. These Souls-like games typically have a high level of difficulty where repeated player-character death is expected and incorporated as part of the gameplay, losing all progress if certain checkpoints have not been reached, and a means to permanently improve the player-character's abilities as to be able to progress further. Such games considered as Souls-like include Salt and Sanctuary, Lords of the Fallen, Nioh, The Surge, Code Vein, and Hollow Knight. The "bloodstain" mechanics have been used in other games following their introduction in the Souls series. The games Nioh and Nier: Automata also possess a similar mechanic. Code Vein also uses the mechanic in the form of a "flame lantern". Similarly, bonfire easter eggs have appeared in Dishonored: Death of the Outsider, Borderlands 2, Just Cause 3, Overwatch, and Battlefield 1. Other games cited to have been influenced by Souls include Destiny, Alienation, Shovel Knight,Titan Souls, Enter the Gungeon, The Witcher 3: Wild Hunt, God of War, Shroud of the Avatar, Journey, and ZombiU. Souls has also been cited as an influence on several of the PlayStation 4's online features, including its asynchronous messaging, social networking and video sharing features, as well as the television show, Stranger Things. ^ Atlus, ed. (2009). Demon's Souls game manual (North American). Atlus. p. 5. ^ Atlus, ed. (2009). Demon's Souls game manual (North American). Atlus. pp. 22–23. ^ Atlus, ed. (2009). Demon's Souls game manual (North American). Atlus. pp. 16–17. ^ a b "How FromSoft took the action-RPG to a new level by putting faith in Dark Souls' players". gamesradar. Retrieved February 21, 2018. ^ Atlus, ed. (2009). Demon's Souls game manual (North American). Atlus. p. 19. ^ a b VanOrd, Kevin (October 3, 2011). "Dark Souls Review". GameSpot. CBS Interactive. Retrieved July 6, 2015. ^ a b Kollar, Philip (March 11, 2014). "Dark Souls 2 Review: not the end". Polygon. Vox Media. Retrieved July 6, 2015. ^ a b "Atlus Officially Announces Demon's Souls for North America". IGN. Ziff Davis. July 6, 2009. Retrieved July 6, 2015. ^ Matulef, Jeffrey. "Bloodborne director reveals his favourite boss from the "Souls" series". Eurogamer. Retrieved May 11, 2016. ^ a b c Teti, John (November 13, 2011). "Retrospective: King's Field". Eurogamer. Gamer Network. Retrieved July 6, 2015. ^ a b Kollar, Phil. "Demon's Souls Director Discusses Difficulty, Sequels, And More". Gameinformer. Retrieved April 30, 2016. ^ a b Mielke, James. "'Dark Souls' Creator Miyazaki on 'Zelda,' Sequels and Starting Out". Rolling Stone. Retrieved October 6, 2016. ^ Simon Parkin. "Bloodborne creator Hidetaka Miyazaki: 'I didn't have a dream. I wasn't ambitious'". the Guardian. Retrieved June 4, 2015. ^ "Dark Souls Design Works Translation: Weapons and Equipment Part 1/2". giantbomb.com. Retrieved June 4, 2015. ^ Matulef, Jeffrey. "Demon's Souls still feels fresher than its "Dark" successors". Eurogamer. dx.net. Retrieved May 8, 2016. ^ Jin Ha Lee; Clarke, Rachel Ivy; Sacchi, Simone; Jett, Jacob (2014). "Relationships among video games: Existing standards and new definitions". Proceedings of the Association for Information Science and Technology. 51 (1): 1–11. doi:10.1002/meet.2014.14505101035. ^ Moriarty, Colin (May 11, 2011). "Dark Souls Release Date Revealed". IGN. Ziff Davis. Retrieved July 6, 2015. ^ Onyett, Charles (May 31, 2012). "New Dark Souls Content Coming to Consoles". IGN. Ziff Davis. Retrieved July 6, 2015. ^ Houghton, David. (March 5, 2014). "Why Dark Souls is the friendliest, most benevolent game of its generation". GamesRadar. Retrieved July 19, 2015. ^ Harrison, William. (October 10, 2011). "Dark Souls isn’t hard, gamers are just stupid and impatient". Venture Beat. Retrieved July 19, 2015. ^ North, Dale. "Non-review: Why I couldn't finish Demon's Souls". Destructoid. Destructoid. Retrieved October 31, 2015. ^ Saed, Sherif. "Dark Souls Remastered announced for PC, PS4, Xbox One with 4K and 60fps". VG247. Retrieved January 14, 2018. ^ Matulef, Jeffrey. "Miyazaki won't be directly involved in Dark Souls 2, doesn't want too many sequels". EuroGamer. Retrieved July 27, 2015. ^ Yin-Poole, Wesley (March 6, 2014). "Dark Souls 2 PC release date confirmed". Eurogamer. Gamer Network. Retrieved July 6, 2015. ^ Pitcher, Jenna (December 29, 2014). "Dark Souls 2: Scholar of the First Sin Director Reveals New Details". IGN. Ziff Davis. Retrieved July 6, 2015. ^ mikemcwhertor. "Dark Souls 2 coming to PlayStation 4 and Xbox One in 2015". Polygon. ^ Gifford, Kevin (December 19, 2012). "Dark Souls 2 developer: If Dark Souls was set in the North Pole, this one would be in the South Pole". Polygon. Vox Media. Retrieved July 6, 2015. ^ Aetas Inc. "「DARK SOULS III」PS4/Xbox One版の発売日が2016年3月24日に決定。PS4版ネットワークテスターの募集も開始". 4Gamer.net. ^ McWhertor, Michael (June 15, 2015). "Dark Souls 3 confirmed, coming early 2016". Polygon. Vox Media. Retrieved July 6, 2015. ^ Mahardy, Mike. "Dark Souls III is Faster, Smoother, and More Fluid Than its Predecessors". Gamespot. Retrieved September 21, 2015. ^ "Dark Souls 3's combat is faster in a post-Bloodborne world". Polygon. ^ Hussain, Tamoor. "Dark Souls 3 Interview: "It Wouldn't Be Right to Continue Creating Souls"". GameSpot. Retrieved March 26, 2016. ^ Matulef, Jeffrey (April 27, 2016). "Dark Souls dev begins work on new IP - report". Retrieved April 27, 2016. ^ Makuch, Eddie. "Dark Souls 3 Director Talks Franchise Legacy, Possibly Demon's Souls Remaster, More". GameSpot. Retrieved July 10, 2016. ^ Wales, Matt. "Miyazaki shares his thoughts on much-requested Demon's Souls remaster". Eurogamer. Retrieved February 5, 2019. ^ Kollar, Philip (February 27, 2016). "Slashy Souls: a first look at Namco's new Dark Souls-inspired mobile game". Polygon. Retrieved February 28, 2016. ^ Matulef, Jeffrey. "Dark Souls 3's promotional mobile game Slashy Souls is terrible". Eurogamer. Retrieved May 29, 2018. ^ Carter, Chris. "Review: Slashy Souls". Destructoid. Retrieved March 10, 2016. ^ Sterling, Jim. "Slashy Souls Review – Dark Holes". thejimquisition.com. Retrieved June 9, 2016. ^ Kollar, Philip. "Bloodborne is not Dark Souls; here's how it should set itself apart". Polygon. Vox Media. Retrieved April 30, 2016. ^ "E3 2014: The Similarities and Differences Between Bloodborne and Dark Souls". GameSpot. ^ Saltzman, Mitchell. "8 PlayStation Games That Need to be Remade or Remastered". IGN. Retrieved January 11, 2018. ^ McWhertor, Michael. "Dark Souls' creator on what sets Sekiro: Shadows Die Twice apart". Polygon. Retrieved February 21, 2019. ^ Dayus, Oscar. "E3 2018 - Sekiro: Shadows Die Twice Is Not Part Of The Soulsborne Series, From Software Says". GameSpot. Retrieved June 14, 2018. ^ Schedeen, Jesse. "DARK SOULS COMIC BOOK COMING IN APRIL 2016". IGN. Ziff Davis. Retrieved January 21, 2016. ^ Prescott, Shaun. "The Dark Souls series is getting a board game". PC Gamer. Retrieved April 8, 2016. ^ Klepek, Patrick. "Crowdfunded Dark Souls Board Game Raises $200,000 In Less Than Two Hours". Kotaku. Retrieved April 19, 2016. ^ Makuch, Eddie. "Dark Souls Board Game Funded in 3 Minutes". GameSpot. Retrieved April 20, 2016. ^ Osborn, Alex. "Dark Souls to Be Featured in Bandai Namco's Orchestral Concert in Europe". IGN. Retrieved January 17, 2017. ^ Hussain, Tamoor. "See The Dark Souls Series' Super Limited Vinyl Soundtrack Collection". GameSpot. Retrieved July 27, 2017. ^ Barnett, Brian. "Dark Souls Trilogy Box Set Announced for Japan". IGN. Retrieved January 11, 2018. ^ "Demon's Souls for PlayStation 3 Reviews". Metacritic. Retrieved January 28, 2010. ^ "Dark Souls: Prepare to Die Edition for PC Reviews". Metacritic. Retrieved December 23, 2013. ^ "Dark Souls for PlayStation 3 Reviews". Metacritic. Retrieved December 19, 2011. ^ "Dark Souls for Xbox 360 Reviews". Metacritic. Retrieved December 19, 2011. ^ a b "Dark Souls II for PC Reviews". Metacritic. Retrieved April 25, 2014. ^ "Dark Souls II for PlayStation 3 Reviews". Metacritic. Retrieved March 11, 2014. ^ "Dark Souls II for Xbox 360 Reviews". Metacritic. Retrieved March 11, 2014. ^ "Dark Souls III for PC Reviews". Metacritic. CBS Interactive. Retrieved September 29, 2016. ^ "Dark Souls III for PlayStation 4 Reviews". Metacritic. CBS Interactive. Retrieved April 18, 2016. ^ "Dark Souls III for Xbox One Reviews". Metacritic. CBS Interactive. Retrieved May 27, 2016. ^ "Dark Souls Remastered for PC Reviews". Metacritic. Retrieved July 24, 2018. ^ "Dark Souls Remastered for PlayStation 4 Reviews". Metacritic. Retrieved July 24, 2018. ^ "Dark Souls Remastered for Xbox One Reviews". Metacritic. Retrieved July 24, 2018. ^ Klepek, Patrick (April 16, 2015). "App Lets You Leave Cryptic Bloodborne Messages In Real Life". Kotaku. ^ "Best New IP". GameTrailers. December 21, 2009. Retrieved July 2, 2015. ^ "Gamespot's Best and Worst of 2009 – Game of the Year 2009". GameSpot. Archived from the original on June 15, 2009. Retrieved March 7, 2010. ^ Grayson, Nathan (January 13, 2012). "Dark Souls PC petition at nearly 70,000 signatures, Namco listening". PC Gamer. Retrieved July 1, 2015. ^ Dutton, Fred (November 4, 2012). "Dark Souls PC release date announced, Games For Windows Live support confirmed". Eurogamer. Gamer Network. Retrieved July 1, 2015. ^ "The 100 best games ever". GamesRadar. February 25, 2015. Retrieved July 1, 2015. ^ a b c d e Breault, Chris (February 24, 2014). "How Do You Make An RPG After Dark Souls?". Kill Screen. ^ Slabaugh, Brett (December 18, 2013). "Destiny Inspired by Dark Souls, Monster Hunter, Bungie Says". The Escapist. ^ Tach, Dave (August 22, 2014). "How Dark Souls influenced Alienation, the next game from Resogun's developer". Polygon.com. ^ Makuch, Eddie (January 5, 2015). "Lords of the Fallen Dev Talks Dark Souls Comparisons". GameSpot. ^ McElroy, Griffin (August 28, 2013). "How Salt and Sanctuary reimagines Dark Souls as a 2D action-platformer". Polygon. ^ Hamilton, Andi (April 13, 2015). "Titan Souls". PCGamer. ^ Crooks, Dave. "How to Get Started in Enter the Gungeon on PS4". PlayStation.Blog. Retrieved April 18, 2016. ^ "The most anticipated games of 2016". GamesRadar. Futurepic. Retrieved January 10, 2016. ^ "Kotaku UK's Most Anticipated Games of 2016". Kotaku. Retrieved January 10, 2016. ^ Guerrero, Agustin. "Screen Rant's 30 Most Anticipated Video Games of 2016". Screen Rant. Retrieved January 10, 2016. ^ Rad, Chloi (April 4, 2016). "Dark Souls 3 Review". IGN. Retrieved April 4, 2016. ^ Davenport, James (April 4, 2016). "Dark Souls III Review". PC Gamer. Retrieved April 4, 2016. ^ a b "The DNA of Dark Souls: the challenge and death". Shacknews. Retrieved February 21, 2018. ^ Totilo, Stephen. "The Best Game Death Innovation At E3?". Kotaku. Retrieved February 23, 2018. ^ "How Demon's Souls became one of PlayStation's toughest yet most rewarding challenges". gamesradar. Retrieved February 23, 2018. ^ a b "Why I Love: bonfires in Dark Souls". gamesradar. Retrieved February 21, 2018. ^ "An Ode to the Dark Souls Bonfire". Vice. November 5, 2015. Retrieved February 21, 2018. ^ Tassi, Paul (March 16, 2015). "'Bloodborne' May Be The PS4's Salvation In 2015". Forbes. Retrieved July 1, 2015. ^ Purchese, Robert (July 1, 2015). "Dark Souls series sales surpass 8.5 million". Eurogamer. Gamer Network. Retrieved July 1, 2015. ^ a b Romano, Sal. "Dark Souls III tops three million shipments, Dark Souls series tops 13 million". Gametsu. Retrieved May 11, 2016. ^ Makuch, Eddie. "Dark Souls 3 Breaks Sales Records". GameSpot. Retrieved April 21, 2016. ^ Potter, Matt (April 18, 2016). "Dark Souls 3 Is Bandai Namco's Fastest Selling Game Ever". IGN. Retrieved April 19, 2016. ^ Klepek, Patrick. "Salt And Sanctuary Is An Excellent 2D Dark Souls". Kotaku. Retrieved May 17, 2017. ^ Purchase, Robert (September 23, 2014). "ideo: Playing a new boss battle in Lords of the Fallen". Eurogamer. Retrieved May 17, 2017. ^ Espileni, Matt (January 21, 2017). "Nioh Is A Brutal Return To Form For Ninja Gaiden Developer". IGN. Retrieved May 17, 2017. ^ Donnelley, Joe (May 16, 2017). "The Surge has 'Souls-like' combat but is best approached 'from a Bloodborne state of mind'". PC Gamer. Retrieved May 17, 2017. ^ Saed, Sharif (May 2, 2017). "The first trailer for Code Vein proves this is the Vampire Souls we thought we're getting". VG247. Retrieved May 17, 2017. ^ Forrest, Tavish (May 15, 2017). "Review: Hollow Knight". PC PowerPlay Magazine. Retrieved July 24, 2018. ^ "Ni-Oh Has A Blood Stains System Like Dark Souls - Siliconera". Siliconera. September 17, 2015. Retrieved February 21, 2018. ^ "Nier: Automata's Androids are like Dark Souls bloodstains, next livestream on Feb 23". PCGamesN. Retrieved February 21, 2018. ^ "I Love That Code Vein is Basically Anime Dark Souls". Kotaku UK. Retrieved February 21, 2018. ^ Marks, Tom (September 15, 2017). "A Dark Souls Bonfire is in Dishonored: Death of the Outsider". IGN. Retrieved February 21, 2018. ^ Good, Owen. "Borderlands 2 Tips Its Cap to a Dark Souls Fan Favorite With This Easter Egg". Kotaku. Retrieved February 21, 2018. ^ "Dark Souls bonfire found in Just Cause 3". pcgamer. Retrieved February 21, 2018. ^ Frank, Allegra (August 23, 2016). "Overwatch's new map hides a treat for Dark Souls fans". Polygon. Retrieved February 21, 2018. ^ "How to find the Dark Souls Easter egg in Battlefield 1's Rupture map - VG247". VG247. February 28, 2017. Retrieved February 21, 2018. ^ Purchese, Robert (November 28, 2013). "The Witcher 3: What is a next-gen RPG?". Eurogamer.net. Retrieved September 10, 2016. ^ Jones, Gary (March 30, 2015). "Witcher 3: Why Dark Souls has proved a big influence, new details on 200+ hours gameplay". Daily Express. Retrieved September 10, 2016. ^ "God of War's New Combat System Explained". YouTube. PlayStation. March 19, 2018. ^ ""It Has to Be Personal" Says 'God of War' Creative Director Cory Barlog". Rolling Stone. Retrieved June 20, 2017. ^ a b Kain, Erik (November 22, 2013). "'Dark Souls' Inspired The Design Of Sony's PlayStation 4". Forbes. ^ Tilly, Chris (August 26, 2016). "How Silent Hill, Dark Souls and The Last of Us Influenced Stranger Things". IGN. This page is based on the Wikipedia article Souls (series); it is used under the Creative Commons Attribution-ShareAlike 3.0 Unported License (CC-BY-SA). You may redistribute it, verbatim or modified, providing that you comply with the terms of the CC-BY-SA.